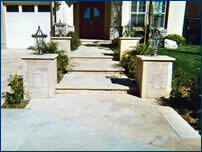 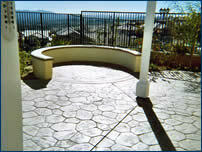 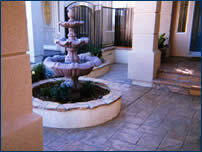 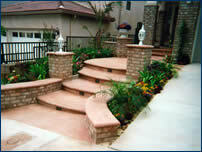 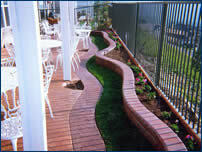 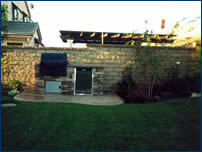 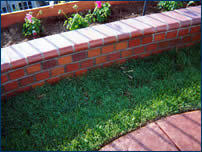 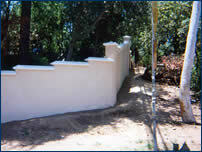 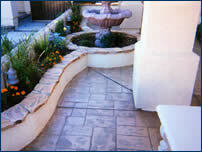 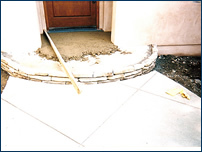 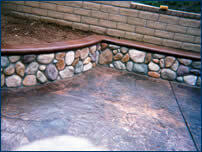 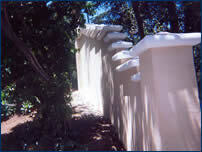 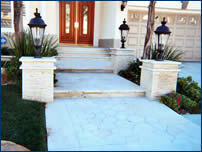 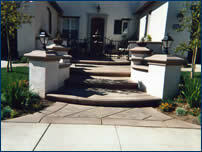 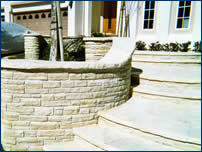 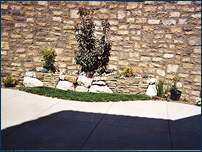 Our wall systems come in a variety of different options; We cover all types of masonry. 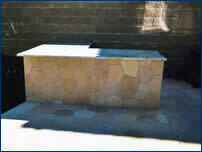 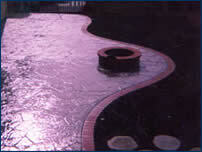 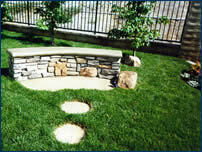 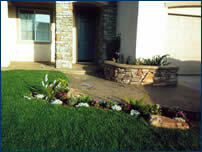 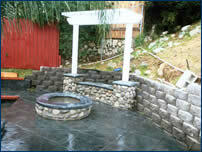 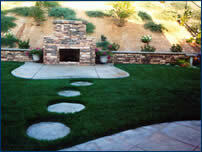 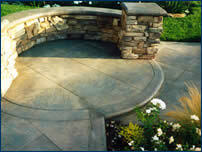 Block or stone walls, water features, benches, bbq and fire pits or fire places. 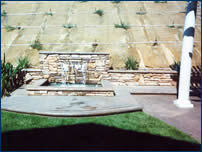 The design on our features include the essentials with concrete footings, rebar reinforcement and water proofing, but we also add the element of design with stone veneers, stamp texturing, staining, and placing bull nose or stone caps for sitting or lighting.